Even to the casual observer, it’s easy to see how proud we are in Chicago of the late Illinois rail-splitter-turned-president, Abraham Lincoln. 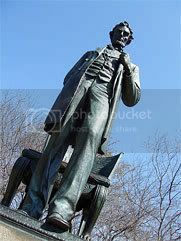 There are Chicago streets, parks, statues, entire neighborhoods (Lincoln Park and Lincoln Square), and countless business establishments that have been built or named in Lincoln’s honor. Now, in a year when another lanky statesman from Illinois has been sworn in as the nation’s Commander-in-Chief, it just so happens that Honest Abe‘s 200th birthday is about to roll around. The exact date falls on February 12, and to no one’s surprise, Chicago is not about to let this bicentennial pass without a fuss. Below are some of the many ways you can celebrate the legacy of the Great Emancipator while taking in some important Illinois history at the same time.